WHILE WE DON'T CLAIM TO HAVE "RE-INVENTED" THE SNORKEL, THE 3D FLEX DRY IS PRETTY CLOSE TO IT! 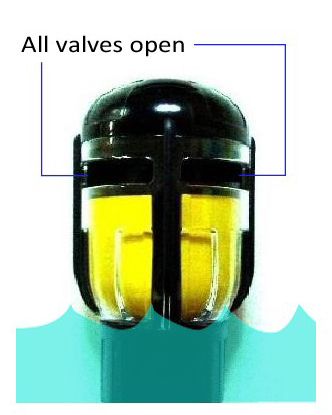 • 3D FLEX DRY's special top has not 1 but 4 valves, each capable of blocking the air entrance independantly. 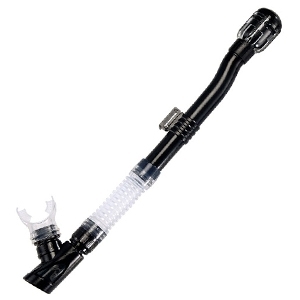 If the snorkeler unintentionally submerges the top part of the snorkel (i.e. 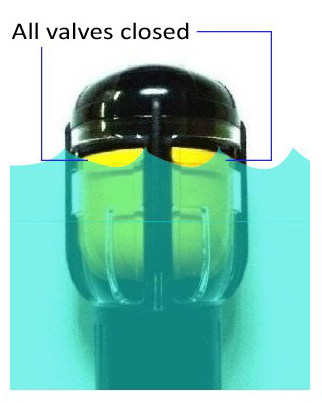 looking from side to side), a conventional dry snorkel will have its only air passage closed off completely as soon as it senses buoyancy change but in the same situation with a SN201 snorkel, only the valves that are underwater will shut while the others will remain open, providing unobstructed breathing path. • Apart from the special quad-valved dry top and double-jointed bottom section, SN201 is also equipped with a large purge valve and swivelling snorkel keeper. 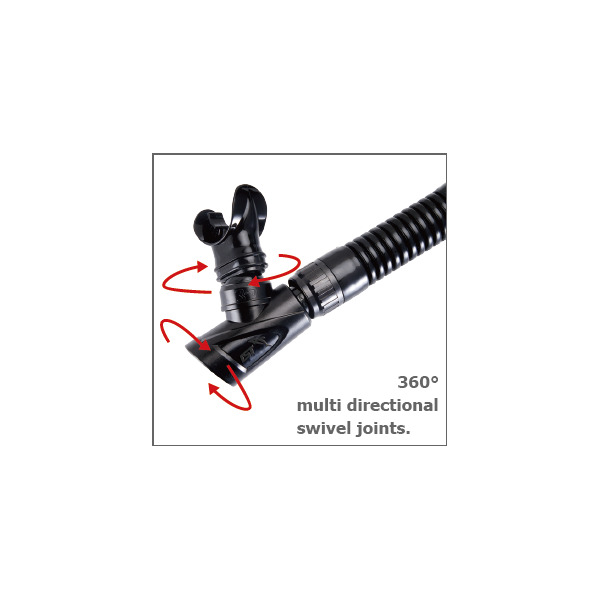 • User comfort is guaranteed with 2 patented 360° swivel joints. 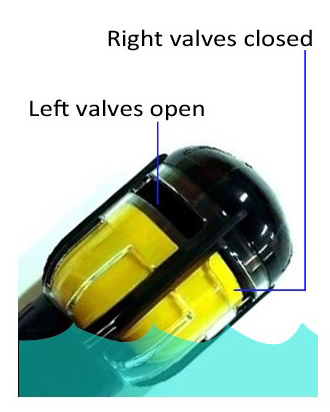 The ball-joint style connections can be found just below the mouthpiece and the purge body. Both can be freely rotated to suit each individual’s facial profile and mask set-up preferences, whereas a traditional “stiff” tube has very few or no ways of making adjustments, resulting in discomfort and reduced snorkelling enjoyment.